I understand that seeking counselling and choosing a counsellor can feel like a daunting task. Starting counselling can be a time of vulnerability where you may be talking about sensitive issues that you may never have discussed with anyone before. Finding the right counsellor for you is important. I am a fully qualified psychodynamic counsellor and a registered member of the British Association of Counsellors and Psychotherapists. I practise in accordance with the professional ethical framework of the BACP, offering a confidential and professional counselling service. 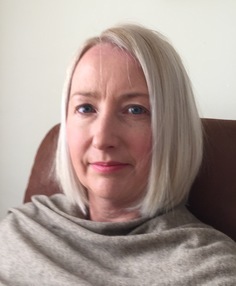 I am an experienced counsellor with a warm, empathic and non-judgmental approach, offering counselling to individuals who are experiencing distress and difficulties in their lives. The counselling I offer provides a safe and confidential space where together we can explore your difficulties and concerns. All of us can experience emotional difficulties at some point in our lives. Counselling provides an opportunity to share your thoughts and feelings with a trained professional where the issues and difficulties that are causing you distress and concern can be explored. These may relate to your current life or may relate to your past. Sometimes difficulties you are experiencing in the present day are linked to past experiences in ways that aren't always apparent. It can be helpful to explore these connections so that difficult, painful and confusing emotions can be worked through. This can give meaning to things that have not made sense before and provide a different way of thinking about yourself and your relationships, achieving greater self-awareness that can prevent repetitive patterns of behaviour that are otherwise hard to stop.